Join us for an evening of learning the art of watercoloring. This class is designed for beginners or first-timers. You will explore watercolor supplies and techniques, and Susan will guide students through one or two paintings (depending on how fast you work) using these techniques. Cost is $45 per student and includes all supplies and instruction. Susan Snyder, M.S., is an Ogden artist, naturalist, and environmental educator who spent a decade teaching at Ogden Nature Center. She holds a master’s degree in Ecological Teaching & Learning and is a Utah certified environmental educator. 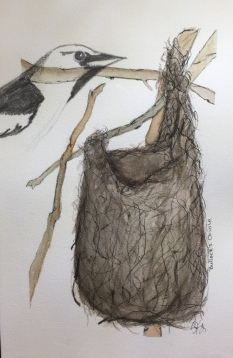 Watercolor is her preferred medium, and her images come from years of illustrated field nature journaling. Susan has won state and national awards for her environmental education programs, and has taught nature journaling and art classes for children, adults, and teachers through Ogden Nature Center, Eccles Community Art Center, the Natural History Museum of Utah, and the Utah Society for Environmental Education.